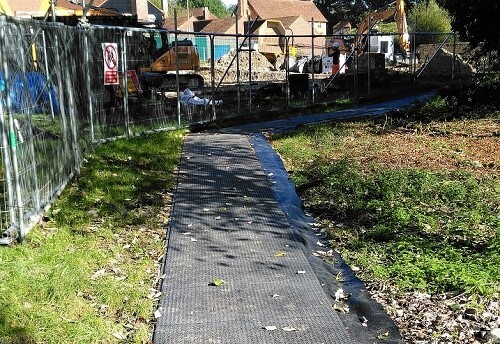 As part of a large house building project, a leading construction group needed to create a temporary pathway so that pedestrians and wheelchair users could have safe passage around the edges of the construction site. 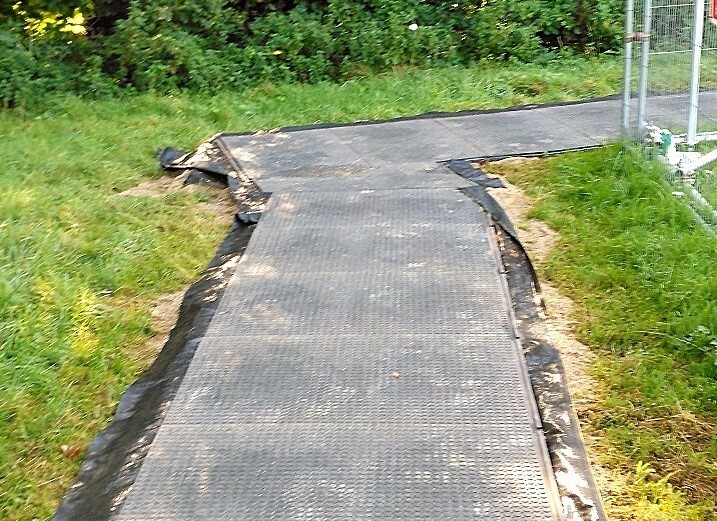 With the Winter months approaching, ground conditions were becoming increasingly wet, muddy and hazardous, and so a safe, non-slip solution was needed. 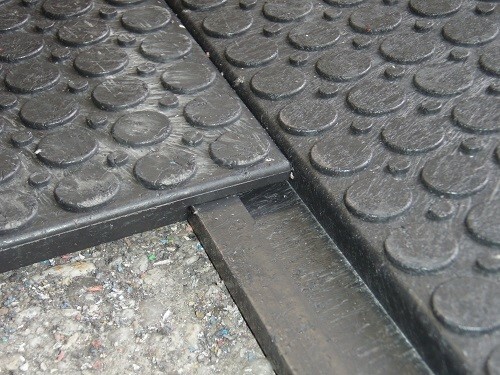 After consultation with the Ground-Guards’ team, we decided to implement FastCover: a cost-effective, easy-to-lay flooring that is safe, strong and robust. FastCover provides perfect access for wheelchair users as the tiles have inter-locking lips that create a smooth join, with gentle edging ramps providing a safe transition to ground level. The whole system can be laid quickly and with minimal effort.